Sacrifice Sale! Unbelievable value! Less than $200 per sq. ft. 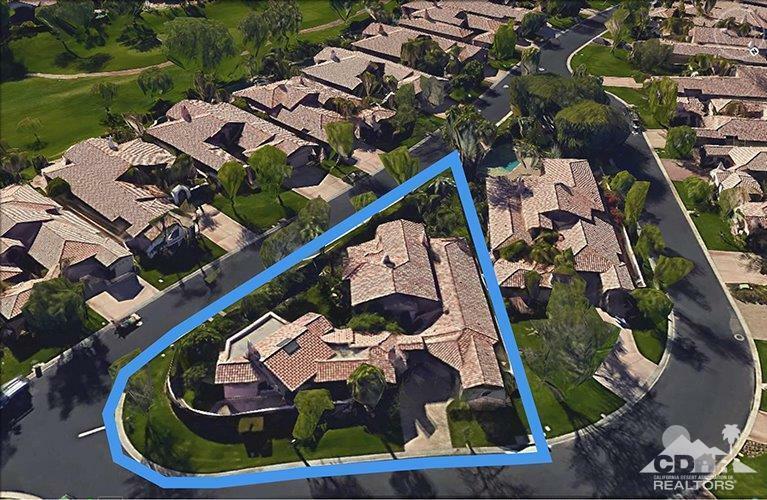 Private luxury estate inside Rancho La Quinta C.C. A personal oasis with finishes and custom detail designed to delight. Greatly expanded guest casita may used as designed or be transformed into a separate residence. 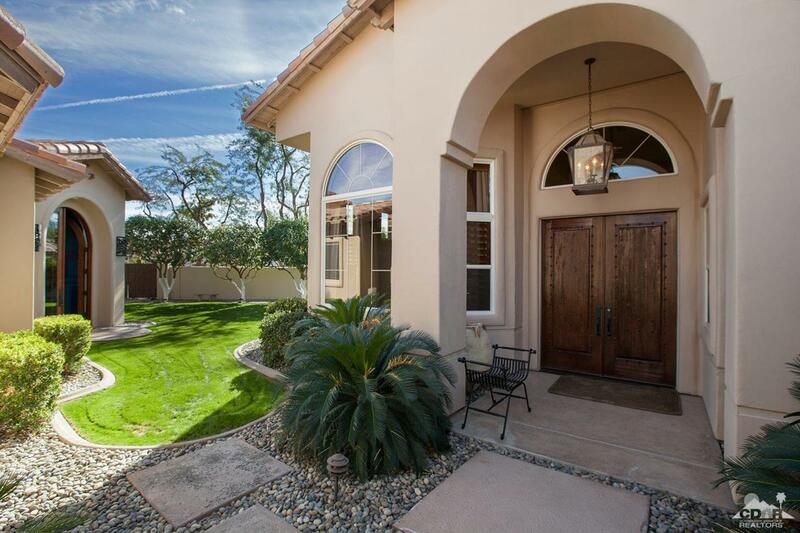 Impressive arched custom courtyard entry door opens into a sunlit private world. 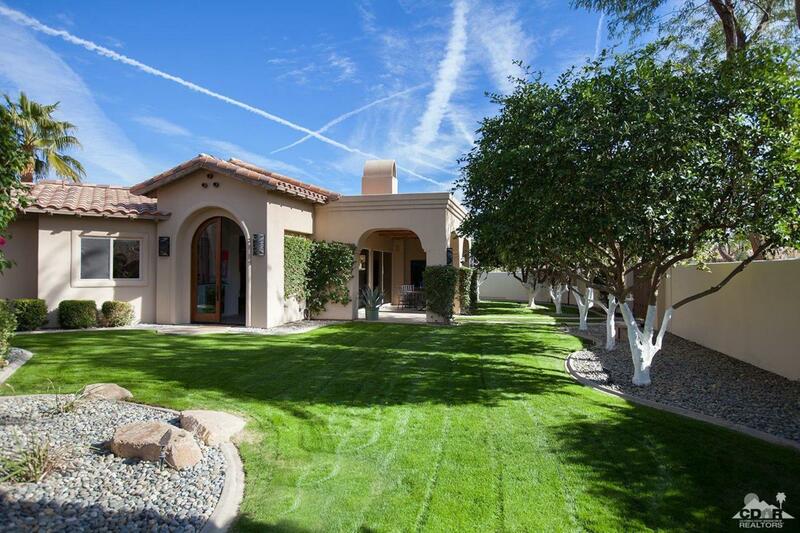 An expansive lawn leads to the double door entry of the detached guest casita. Main residence amenities include slate tile flooring on the diagonal, hemp carpeting in living and dining area, stone finished fireplace with display shelving. The kitchen feels very open and features custom mill work and finish, a large center island, stainless steel appliances, dual temperature wine storage and custom decorative shelving. 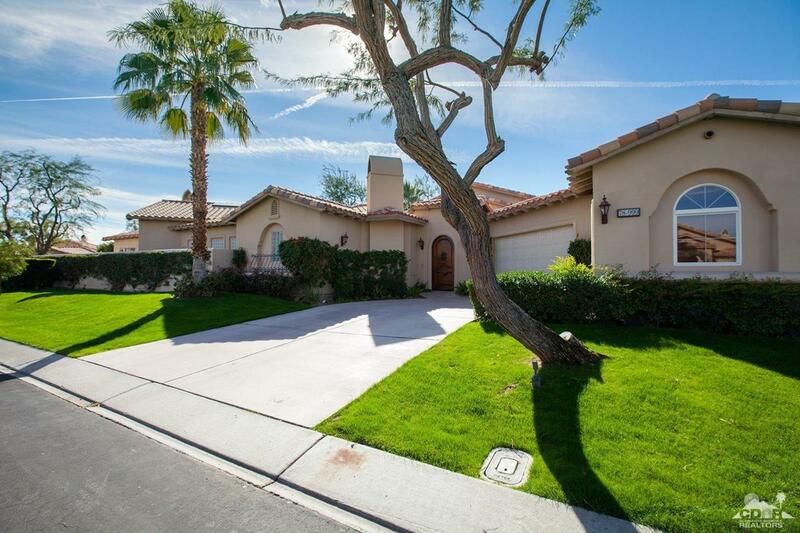 Luxurious Master Bedroom has direct access to the patio and massive sunken fire pit. Custom built-in storage. Opulent master bath. Two-car garage & golf cart garage. Furnishings negotiable. Lot Dimensions 11761 Sq. Ft.